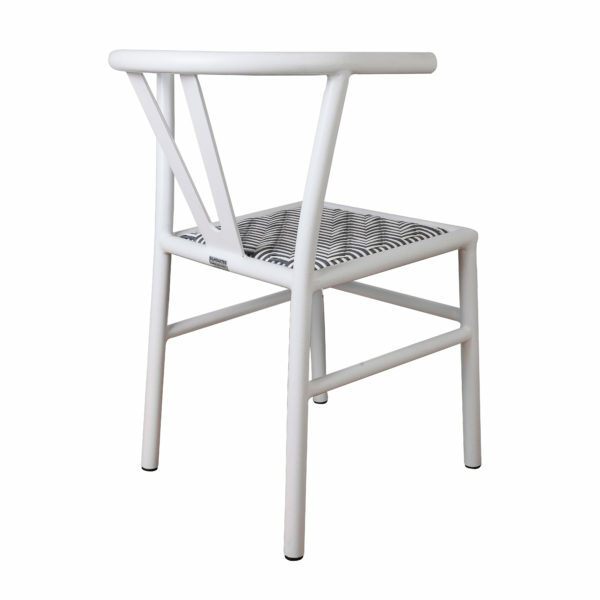 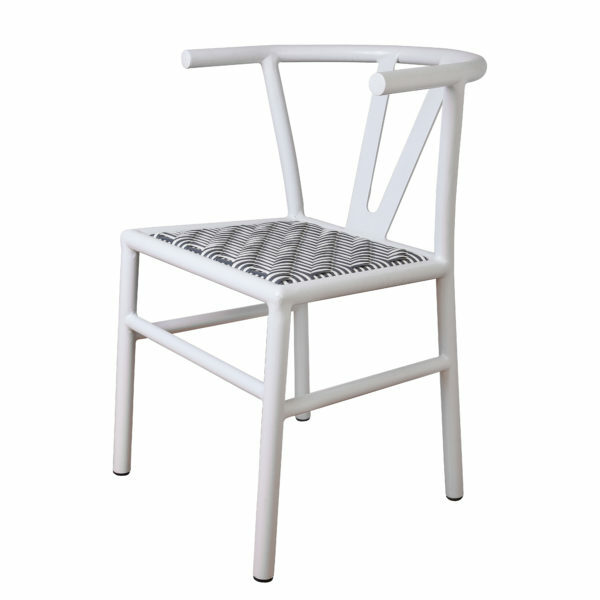 The Lacy dining chair has an aluminium powder coated frame and woven with a poly-cane (HDPE) material. 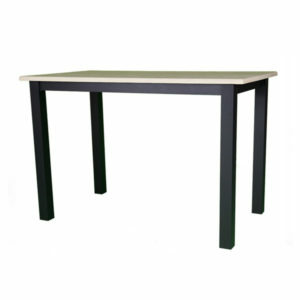 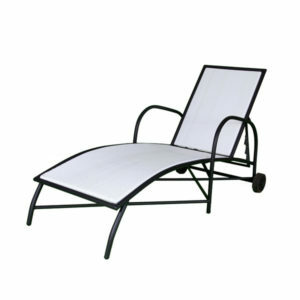 Both make the item fully outdoor and able to withstand any weather conditions. 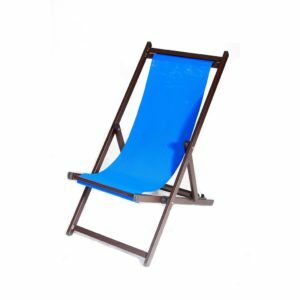 A proudly South African product manufactured in Kwa-Zulu Natal.